Although personally at a disadvantage somewhat due to the cropped print also cutting off most of the subtitles, you can extract the basics out of Silver Maid and certainly how it does as a Taiwanese fantasy spectacle. Because here we're talking a visual ride amidst a rival sect plot (the Red and Black Devils respectively) and one of the biggest draws in Silver Maid is its ideas in infancy. Not shy about throwing big concepts up on screen without extensive special effects knowhow or experience, the enhanced fighting (unless we're talking little Silver Maid herself and her ability to walk on water and fire) takes a backseat to among other things a fight with a snake (puppet) and while slow and clunky, there's admirable energy here. A cinema that's feeling its way through an existing genre. Only this time they want it bigger and more energetic. In 1969 it's not quite there but combined with a a possible viewer-fascination for the development and the colors the genre can offer up, Silver Maid is worth a look. A bright, silver-like (literally) attempt at futuristic comic book action, going into Silver Hawk with the big budget, international dud that was the Michelle Yeoh vehicle The Touch in mind certainly lowers expectations. So as flawed, ridiculous, dumb and ridiculously dumb Silver Hawk is, director Jingle Ma actually does show some skill in maintaining the fun and cool of the premise. With concepts such as Silver Hawk jumping The Great Wall on her bike and featuring Alien Sit choreographed fights of varying quality, the movie is a vehicle that often tries to survive by being loud. The action choreography when clear is all about the one or two kicks in slow motion set to pounding, generic techno while any move by anyone is accompanied by something boring from the library of whoosh-cues. Playing the movie out suitably light still ruins any chances as the largely English language performed dialogue is terrible and terribly performed. It's basically the Alien Sit show for two action scenes that matches the need for over the top behaviour to this universe. One has Silver Hawk taking on fighters on bungy chords and later in the same environment, it's henchmen on rollerblades with steel hockeysticks. Luke Goss has a suitable design as a villain with bionic arms as well and the ending pyro show not only entertains that way but in between has some cool cinematic moments that shows Jingle Ma is a director with it in him. Problem is, lighting up for a second or two doesn't help anyone and Silver Hawk needed a ton of bricks of more cool to clinch its goals. Deservedly so it bombed at the box office but low expectations at least makes you remember the 5 minutes that weren't abysmal. Also with Brandon Chang as the chairman of the Silver Hawk fanclub, Michael Jai White and Li Bing-Bing. Petrina Fung and Sek Kin do make an impression, mostly thanks to lifelong, legendary status. 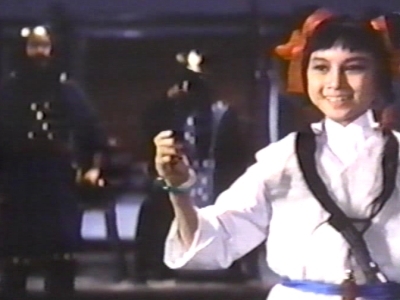 But despite a swordplay genre having seen groundbreaking efforts over at Shaw Brothers at the same time, this Kin Shing Film Company production possesses little but good costumes and in reality is too primitive to further the genre. Largely talky and providing no real genre noise until Fung and Sek Kin square off at the end, it's only here Lau Kar-Leung's action becomes a bit more active with creative violence and wire-work. Even at 82 minutes, it's still a long sit. Fielding offers from a variety of people, Lin Chong and his bandmates agree to go to Japan to look up the daughter of their boss. She turns out to be Susan played by Betty Ting Pei and out of all women looking to land Lin Chong, he ultimately only has eyes for Susan. Inoue Umegetsu goes the musical-route again shooting in Japan, showcasing decent eye for active, vibrant and a colorful frame. Cast is upbeat and acting exaggerated to go along with tone and impromptu singing numbers and for a while technical chops, material that isn't challenging audiences makes for harmless entertainment. Premise is a bit too thin to sustain momentum though and certainly anytime half a dozen women are after Lin Chong it showcases a middling gag that's dragged out. Plus, the core romance isn't even basically engaging and our couple look rather mismatched. Underwater finale adds a little visual life to proceedings that are fairly fast paced regardless. Depicting the "Siege of Fort Zeelandia" in 1661 and 1662 that when it came to a close meant the Dutch East India Company surrendered rule over Taiwan. 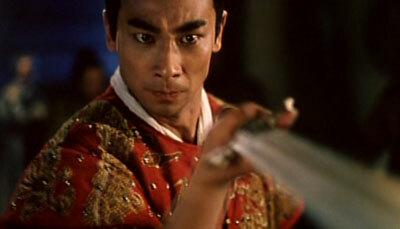 The assault in the movie is lead by Ming loyalist Zheng Cheng-Gong (Vincent Zhao) who's witnessed his dynasty fade away to the point where his father is even surrendering to the Ching. This lean epic (clocking in at a mere 100 minutes) mostly strikes chords of entertainment and is more of a quick run through of key events (accurate or not) but nonetheless is a ride worth taking. Director Wu Zi-Nu is no stranger to dealing with history with big images thanks to the likes of Don't Cry, Nanking a few years earlier. By choice (and getting away with it) creating a good chunk of Sino-Dutch War 1661 as a melodrama, it's still passable drama thanks to this brave stance of letting emotions flow. All this refers to the breakdown of the family, what choices are made in the face of a fading rule and where loyalty leads you. Sure it's patriotic but not distracting flag waving and Wu Zi-Nu's battle images are equal to rough, gritty and impressively staged on the grand scale (mostly true of the sea battle that dominates the finale). Annoying pretty much until Maggie Cheung arrives in all her cute glory, as the comedic jabs takes place such as Pat Ha and Carol Cheng exchanging bust-jokes and Nat Chan appearing only mildly annoying, Guy Lai manages to trust Maggie Cheung to make matters bearable because nothing is otherwise funny. Criminally simple to direct her in this way. Reasonably entertaining buddy cop cop comedy (the pairing this time is Sandra Ng and Charine Chan) from Andy Chin (Changing Partner) who usually makes reasonably entertaining films. No different here as comedy is kept unusually light (meaning not Wong Jing-esque broad outside of the Michael Chow cop character and his partner, but Michael is a pretty funny guy though) and plays to Sandra Ng's strength as an amusing comic actress. Tony Leung Siu Hung handles the action competently, giving us gritty and bloody gunplay that makes Sisters In Law a fair early 90s package. Shing Fui On and Max Mok are good in supporting roles. Megastar does their best to ruin the movie with a horrendous 5.1 remix though. 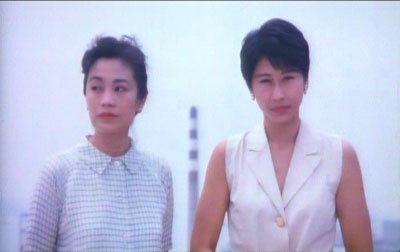 Sylvia (Sylvia Chang, also producer and co-writer) in a distraught mood about not feeling the attention and love from her husband (John Shum) anymore, shacks up with sister Sally (Sally Yeh in her last Hong movie). Sally herself is in a risky relationship with married man Johnny (Derek Yee) and decides ultimately to split up with him. Re-examining their roles in and view on love while being re-born again, Sylvia's true beauty will come out while she gets a breakthrough as a cook and Sally meets younger man Ray (David Wu) who literally drains all energy out of her. Being an environmentalist and never in shortage of things to do, it's the inevitable age clash that may threaten this blooming love. One time director Maisy Chow has a loveable structure and themes running throughout and it's especially heartwarming to see Sylvia's character bloom. Which in itself is the reason to cast Sylvia Chang as she can carry off that transformation from ignored house wife to true beauty and sexiness. Director Chow also thinks of this drama cinematically, going creative on us during her collaboration with cinematographer Jingle Ma. Pace she doesn't master however. In fact not at all. Sisters Of The World Unite seriously drags and engages merely in sporadic bursts, despite all throughout really showcasing its leading ladies well. Featuring cameos and appearances by Johnnie To, Raymond Wong, Kenny Bee, Phillip Chan and Kam Kwok-Leung. Written and directed by Jeng Cheong-Woh (King Boxer), Six Assassins scores points for brevity and standard (meaning high standard) Shaw Brothers production values but isn't one that lingers. Concerning the team of assassins Mu Jun-Jie (Ling Yun) puts together to take out the brother (Yun Il-Bong) of the emperor, at 79 minutes there's still lots of talk, plot and characters packed into the movie and it can get pretty uninteresting at most points. 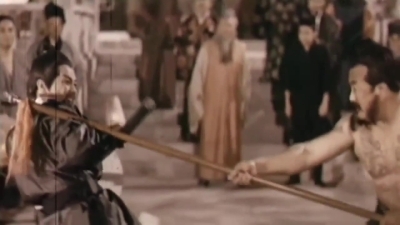 Latching on to the basic story and a well executed Shaw Brothers frame (as per almost usual) helps as well as at points intense swordplay and Ling Yun bringing an intense presence in the lead. Worth anyone's short time even though you won't remember you spent time with Six Assassins shortly thereafter. Also with Lily Li. A group of women (including Diana Pang) goes to Mainland China to earn money any way they can. Not surprisingly they end up as prostitutes but their violent pimp (Jimmy Wong - The Fruit Is Swelling) are using them as highway bait to subsequently rob and kill the male victims. A Category III movie where budget works in its favour. With sparse locations (some highways and apartments) and gore budget, you combine a roster of reprehensible characters and acts and you got yourself a fairly gritty, late 90s Category III nasty. It won't turn heads violence-wise but director Tony Ma (Rebekah) achieves a lot by setting tone through locations and character traits.